Without a doubt, the most popular floors for bathrooms are tile floors. 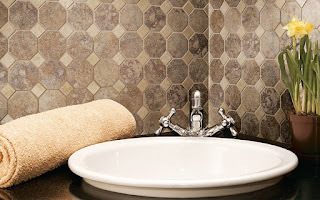 Tile is easy to clean and moisture resistant making it the perfect choice for bathrooms of any size. With the tile selection at Indianapolis tile store Kermans, you can find a tile floor to fit any design style. Tile flooring used to mean some variation of ceramic tile. While ceramic tile is still popular and budget-friendly, there are so many different materials and styles to choose from! Tile flooring comes in a beautiful array of materials, colors and textures. The material of the tile itself also lends a strong design element, from the traditional look of ceramic to the contemporary feel of stone to the colorful mosaics of glass tiles. Stop by Kermans to see them first hand and pick the best tile floor for your home. Tile backsplashes and shower walls are another popular choice for many Indianapolis homes. With a tile wall you can have all the easy cleaning, waterproof benefits of tile on your walls too! 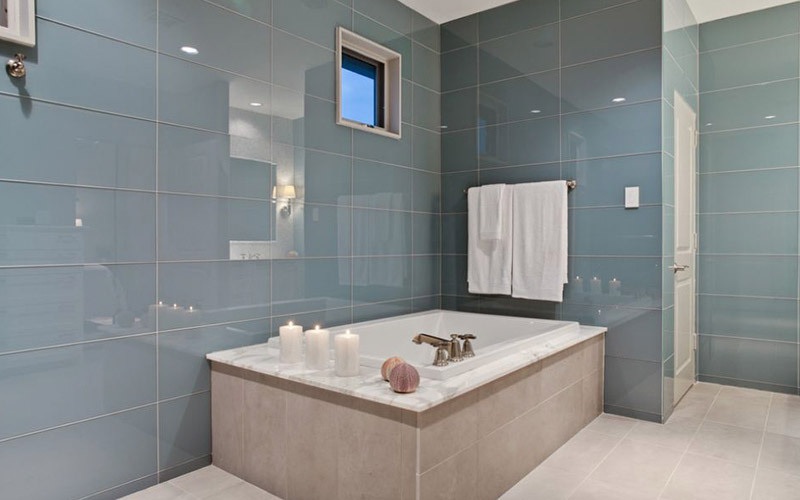 Glass tile is the most popular choice for tile backsplashes and walls. It comes in an amazing variety of shades, shapes and sizes. When you're looking at adding a tile floor to your bathroom, look up a little higher and consider adding tile walls too! Let the flooring experts at Indianapolis' best tile store help you find the best fit for your bathroom and budget. We can help you narrow down the choices and find just the right match that will make your bathroom a beautiful oasis in your home.